While we work on production, I figured I would introduce the bags post by post, and review my uses of them. Since these are bags that I’ve designed, I won’t even pretend to be objective. =P Of course all of them are great! Our first stop in this series, then, is the Executive satchel brief. 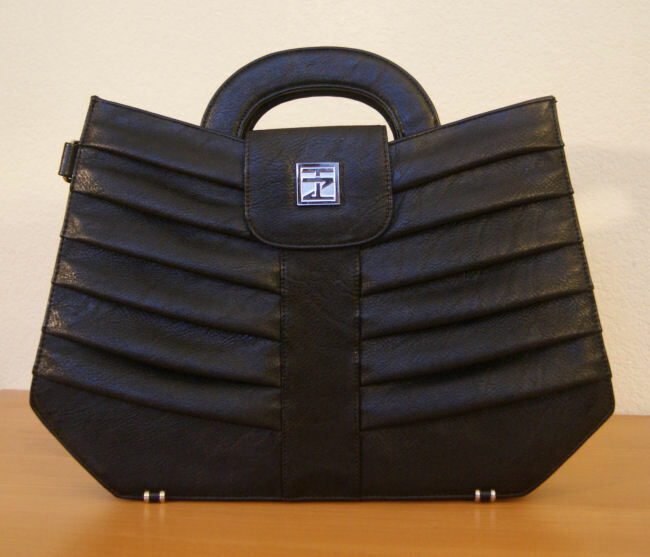 Read more about the bag here on the TZ website. I called it “The Executive” because there’s something so bold and confident about this bag, that it almost demands to be a leader of sorts. 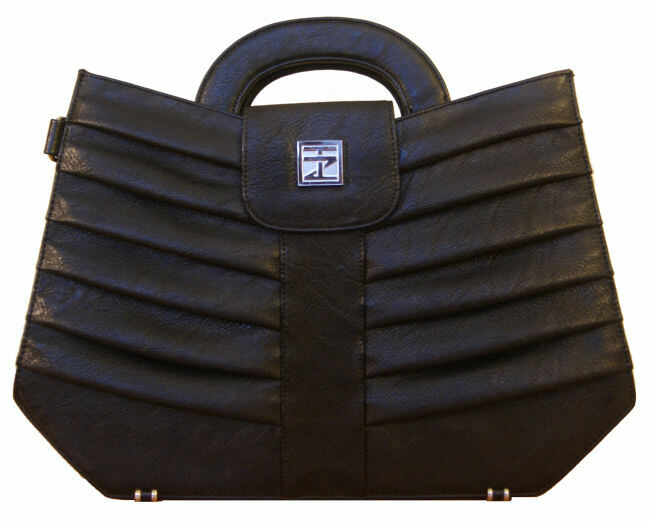 I’ve been using the Executive sample in black as of late, and I always feel like a million bucks when I carry it. In fact, it may be just a little too bold for me! I get the sense that people are staring at my bag whenever I have the Executive on me. Nonetheless I find this to be the prettiest of all the bags in the debut collection. If you want to be noticed, this bag will do it for you. If you are looking to blend in, then the Executive might not be a good option. The two handles are short and drop down when not in use. In addition, the bag comes with an adjustable, detachable shoulder strap, which is the most functional way to sport this bag. I always use it with the shoulder strap. It’s a hassle of a bag without. Admittedly, the handles are just for looks. You can grab onto them and strut into a courtroom feeling sharp and confident, but for every other occasion, they’re just a pain. I tried making prototypes with longer more functional handles, but they looked crappy. You can see what I mean about the crappy longer handles here, in a previous blog post. This proportion of handles that I have above is the best aesthetically, and I figure it’s fine, since there’s always that shoulder strap. A back zipper pocket fits smartphones, keys, or wallets easily, and I designed it specifically for this purpose. When I’m headed to my car or on the go, I dislike rummaging through my bag for the essentials. Hence, the back pocket. Also note the purse feet. I love them purse feet! 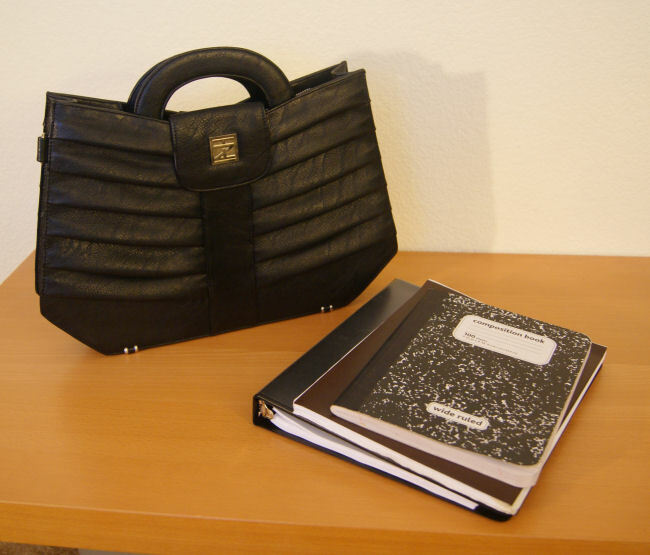 Since this is a slim bag, it basically tops off after a 1-inch 3-ring binder, my sketchbook, and a composition notebook. You could tuck in maybe a few more files, but that’s about it. 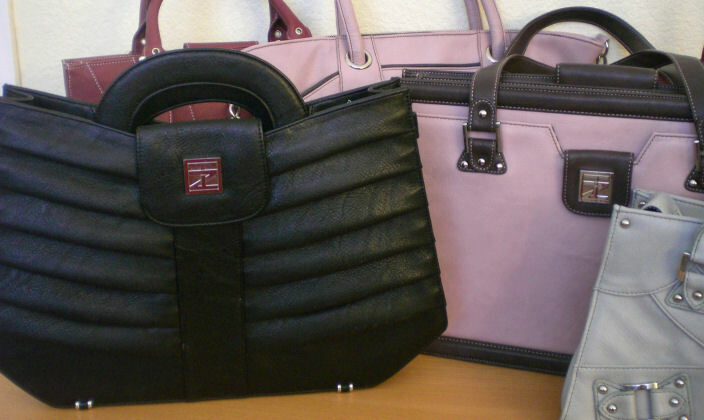 And if you want to carry around your laptop, then this will pretty much just fit the laptop and your few girly essentials (and that is only if your laptop is the same size as or smaller than the standard 3-ring binder). Oh, but if you’re like my sister and swear by those new ultra-slim Macbooks, then you’ll comfortably fit the ultra-slim Macbook, a law school casebook, and heck, maybe even a few of those law school supplements as well. The Executive is definitely for the economical packer. If you’re a minimalist, this bag will be just fine for you. If you’re a packrat, I don’t recommend this bag. This is why I typically don’t carry around the Executive. I carry tons of crap to and from work everyday, and need something roomy like the Ambitionist, Catalyst, Peripatetic, or Workaholic. I seem to be able to stuff in way more junk into those bags., esp. since the side walls of the Executive are not expandable. We previously made prototypes with expandable walls, and it really messed with the proportions of the bag and made it look funky, so we took that option out. The Executive in Traditional Black is very… black… so to give it a pop of color, I like to tie a silk scarf to one side. Here in the above photo, I’m using a lovely scarf Hubby got me as a gift from one of his business trips. The scarf is from Tie Rack, London. Incidentally, Tie Rack, London was also started by a lawyer back in 1981. Three decades later… Wow, if 30 years from now Taryn Zhang could be as big as Tie Rack is now? I’d be the happiest person ever. Let me get to the best feature of the Executive though: all the miscellaneous pockets. 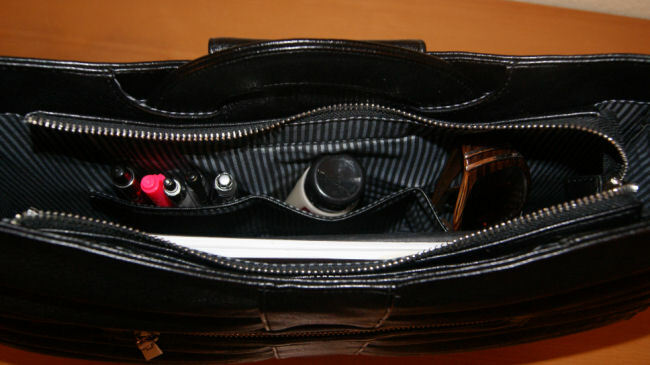 To each side of the main compartment, there are small open pockets for your business cards, phone, wallet, keys, makeup, etc. Thus, I put away all my papers or my laptop in the main compartment and stick my compact, lip gloss, phone, etc. in the small side wall compartments. Here are a few views of the interior. On one interior side wall there’s a zip pocket. On the other, three open pockets. 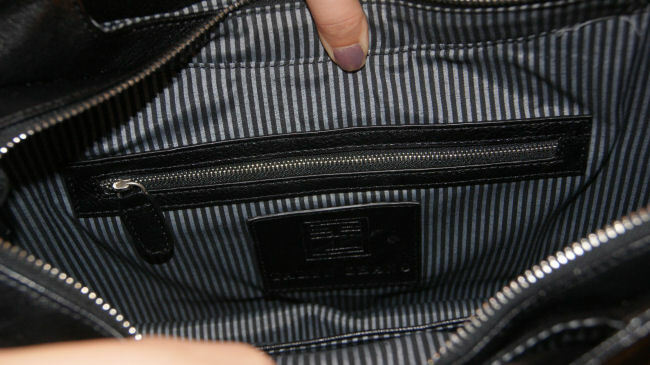 All Taryn Zhang bags have this interior feature: one zipper pocket on one wall, and three open pockets on the other. In the above photo, I’ve used one pocket for my pens, another for lotion and lipstick, and the third holds my sunglasses. I never have to go hunting through my bag for these items. =) They’re right there neat and organized in the pocket compartments. Love it! For a compilation of links on The Executive, visit the Alpha Collection page. 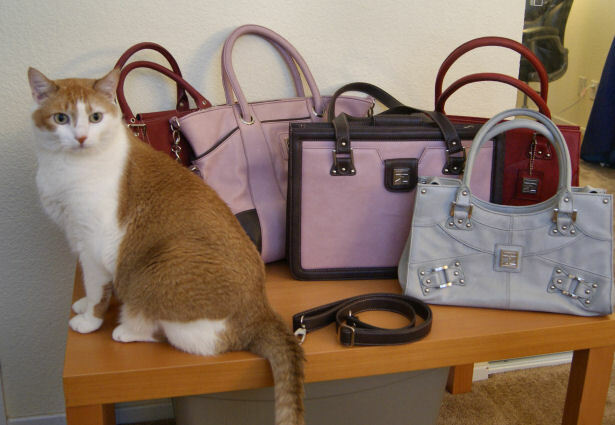 There’s the resident kitty posing with some of the remaining TZ bags for review. He’s been such a trooper through all this, putting in just as many hours as I have, that he definitely deserves a corporate title and should be put on payroll. For some time now I’ve been meaning to feature each of the bags in an individual blog post, but just hadn’t gotten around to it. I use all of my bags regularly and even have a couple of close friends using them regularly as well to give me feedback and criticism. I have spent the last year and a half tweaking each bag per the feedback, so that was another reason why I hadn’t featured the bags here yet– each bag was still a work in progress. The Executive, though, is done. What you see above is the final product that we are going to sell. I love this bag, absolutely love it, because it fits into the high-professional corporate conservative work environment, and yet does so on its own terms– it’s unique, bold and even borderline brash; feminine without being dolly pink, princessy or frilly; and works with either a full suit (super conservative) or jeans and a nice blouse (super casual). This entry was posted in Collection, Design Conception, Musings, One Step Closer, Progress, Promotional. Bookmark the permalink. i like it!! nice job on designing it and making it so functional! what are your thoughts so far on the lookbook? you shot all the images already right? if you were in LA I would totally help you!!! 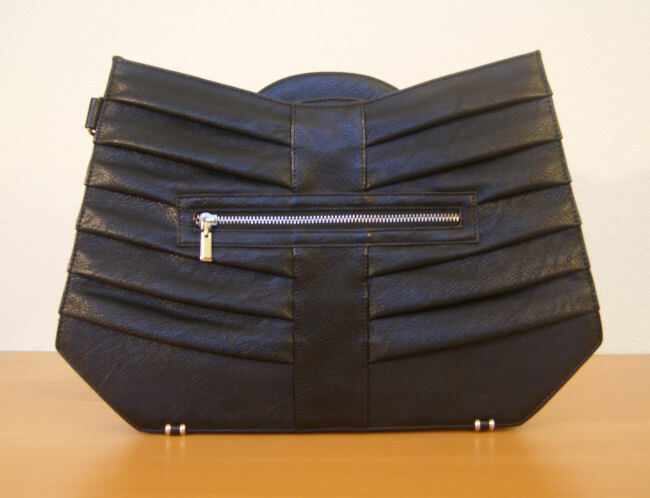 I absolutely LOVE this bag – you’re right, it’s totally a showstopper and demands attention! 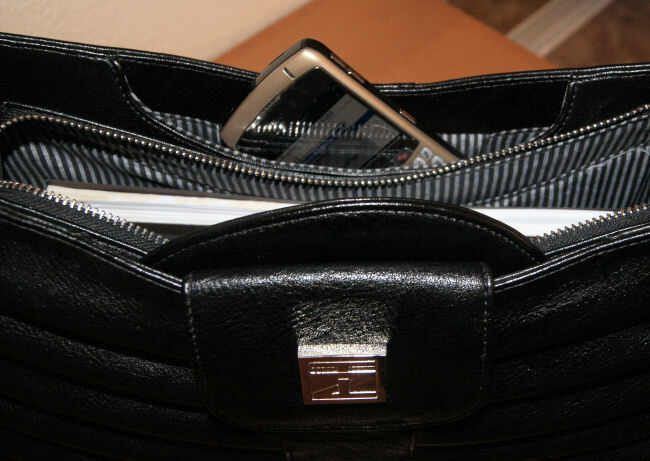 I also love, love, love the back zippered pocket – too often I lose my phone buried somewhere in my bag and I wish for some type of pocket (without a heinous cell phone pocket pouch hanging off the front precariously). The zipper detail is also flawless and adds some edge :) You have so much talent and I love seeing the development of your line! It is definitely bold and confident! This bag is like carrying a work of art! It is my Favorite! 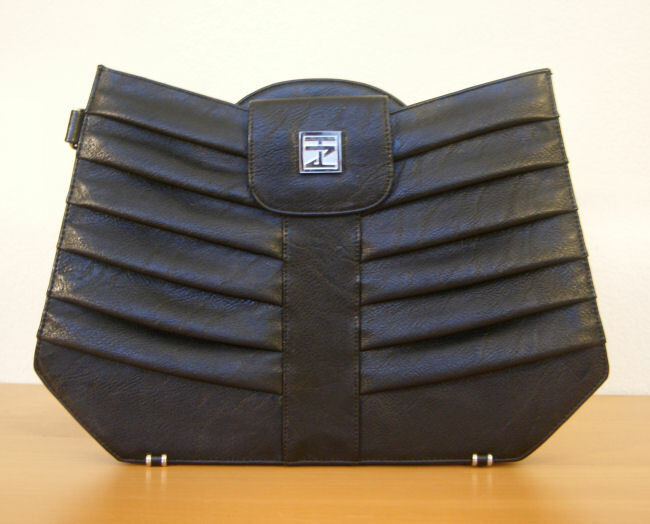 i looove the pleated details of this bag! I love how you test-drive how much your designs can carry yourself! Measurements are one thing, but seeing the list of items that can fit in a bag is another. 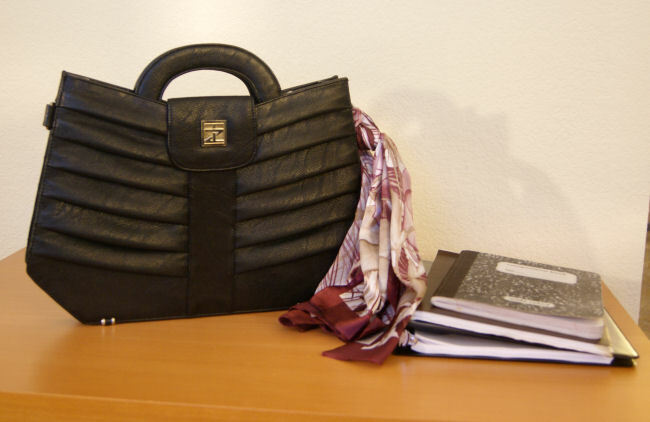 This is such a beautiful bag and so perfect for work. The idea of the retractable handles is brilliant! I’m also a sucker for a well organized interior. Great job! I love it…like really really love it. I don’t work in a corporate world, I’m in media and I think it fits right in there too. It’s I agree it’s really bold I also think it’s super modern and fresh. If you walked passed me in that bag I definitely would be staring at it. have you thought about making the back zipper black? the silver kind of sticks out. Unfortunately all the bags need to have the same zipper head since we make/order them in bulk. =( But I see your point. It does stick out a bit. Yes! I do think it’d fit in well in the arts/media world! Still, my main concern with it is still that the design is so sleek and slim that it doesn’t actually fit anything clunky, like lunch, a sweater, etc. The Peripatetic weekender tote, for example, and even the Workaholic shoulder tote fit so much more stuff. Thanks, M! Btw I *LOVE LOVE LOVE* what you did to the CFP website! It’s so chic and fabulous! Thanks! =D That’s my favorite part too.